More than the drink itself, for the Filipino, alcohol serves as a way to call people together. With a group of our closest friends we bring out the beer—there doesn’t have to be a reason to go out drinking with friends. But when there is a reason then we bring out the pricier stuff. Kids who becomes of legal age (be that 18 or 21) serve cocktails and shots to their friends. On the other hand, families open up bottles of their oldest and rarest reds and whites for big occasions—anniversaries and weddings come at the top of the list. Wine is a popular wedding souvenir and one of the best places to get them is from My Avenue Wines. Wine has a long history in Europe. In places like France (perhaps the mother of wine making), it isn’t easy to come by clean water. You’re more likely to find a family during meal time, drinking table wine from a carafe then they are to drink soft drinks or water. More than the customs and traditions connected to wine, however, the best reason to serve wine and to give wine out as a wedding favor would be because of the similarities between wine and marriage. For food and wine, a perfect marriage is complicated. In top class French restaurants, it is not enough that any wine be served with any dish. This is why they have experts like sommeliers who have been educated in wine—pairing up the right dish and the right wine takes experience, time, and most of all a love and passion for food and wine. You and your spouse are likely to hold many ideals about marriage and wine can get that message across to your guests. Whether you’re an oenophile, a wine lover, or just someone who likes to celebrate their big occasions with a good drink then My Avenue Wines can provide you with a big selection of wine wedding favors. Although people talk about France as the origin of fine wine making, New World Wine has also picked up high reviews and sales over the years. New World Wine refers to the wine created outside of Europe (often referred to as the “Old World”). The company can provide you with fine New World wines at a reasonable price. Although My Avenue Wines has a selection of French and Italian wines their imports from countries such as Chile, the United States, Australia, and New Zealand are also very popular. What they offer includes distinguished reds, whites, and rosés. Among their most distinguished brands from New World wine are Chile’s Carmen and Luis Felipe and Jacob’s Creek from Australia. 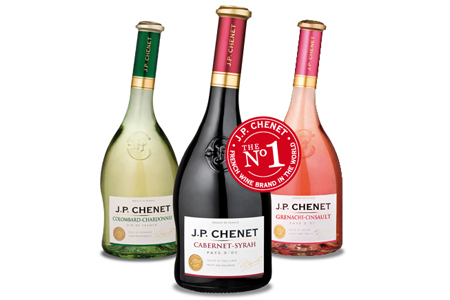 They have also recently J.P. Chenet to their collection. According to My Avenue Wine’s Marketing Director Sherbette Hernandez, one of their most popular types of wine is a Prosecco, one of Italy’s favorite sparkling wines. It is a sparkling wine known for being fruity, fun, and bubbly. Prosecco is not meant to be complicated in the least. Though the wine does not cater to the Filipino’s sweet tooth. It’s properties: easy-to-drink, fruity, and refreshing coheres with the Filipino personality of fun-loving and accommodating. There is definitely more to choose from their selection but clients need to call in to check availability and stock. Moreover, the company needs at least 7-14 days in advance to personalize your wedding favors. What does My Avenue Wines do to personalize your wine? Under their wedding packages, the wines you will be giving away are specially imported in compact bottles or mini-bottles. They will also specially package and label the wine bottles to better suit your chosen wedding motif. When it comes to designing your label, My Avenue Wine is more than happy to help you make your personalized wedding favors. My Avenue Wines wants to convey to you and all other couples what that wine is the perfect symbol for your marriage. As a consumable wedding giveaway, wine is the best way to share your happiness with your friends and family. 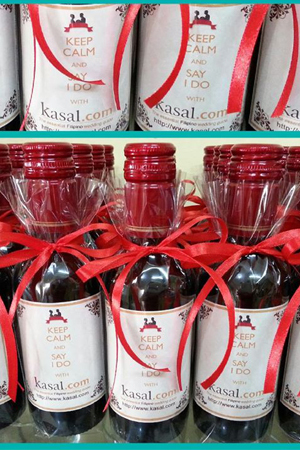 If you would like to give a sophisticated and well-thought out wedding favor to your guests, visit My Avenue Wine’s Kasal.com profile to know more about their wine selection, label making, and rates.